Halloween is a fun time for crafting. 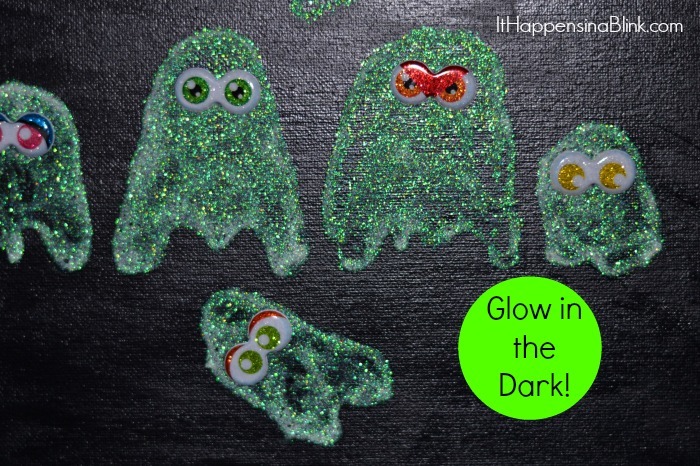 It also brings out the glow-in-the-dark fanatics. This is the first year that my daughter isn’t scared of glow in the dark things. Last year, I bought her a shirt that had a glow in the dark pumpkin on it. She was fine until she went in the bathroom and realized it, indeed, did glow in the dark. She ripped that shirt off and told me to give it to her cousin. It was kind of funny. But she has another year under her belt now, so when CraftProjectIdeas.com sent us a fun box of goodies (including glow in the dark glitter glue) she was excited to get to crafting! She has been into drawing her family here lately, so we created a Halloween themed family portrait that glows in the dark. It’s our family- ghost style! 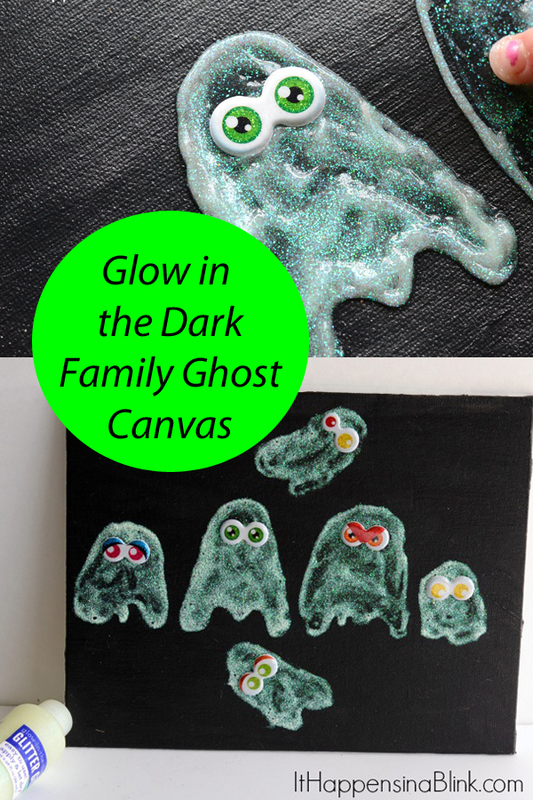 Here’s how to easily make your own Glow in the Dark Family Ghost Canvas. 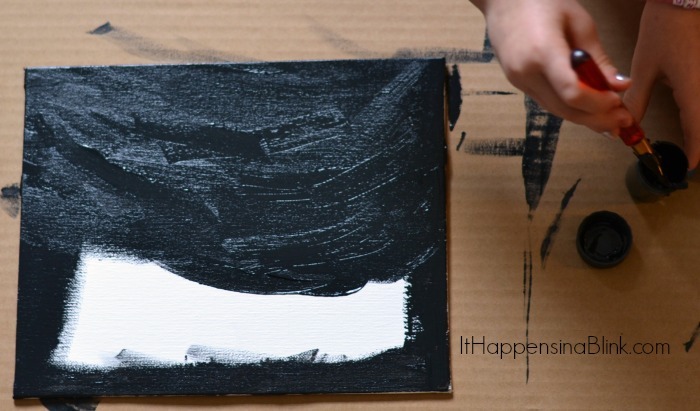 Begin by painting the canvas black, The dark color will help the ghosts show up even when it’s daylight. Let the canvas dry completely. 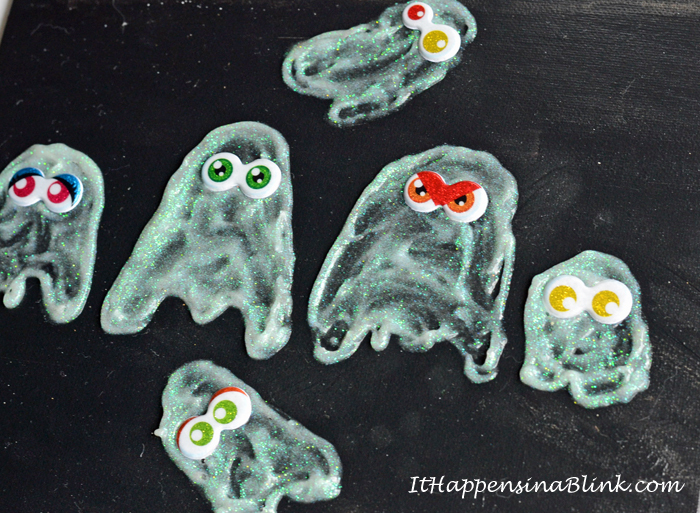 Use the Glow in the Dark Glitter Glue to draw ghosts on the canvas. Draw as many as needed for your family. We have a mommy, daddy, child, and three infant ghosts. Two are being very sneaky- flying up top and around the bottom! Typical boys. 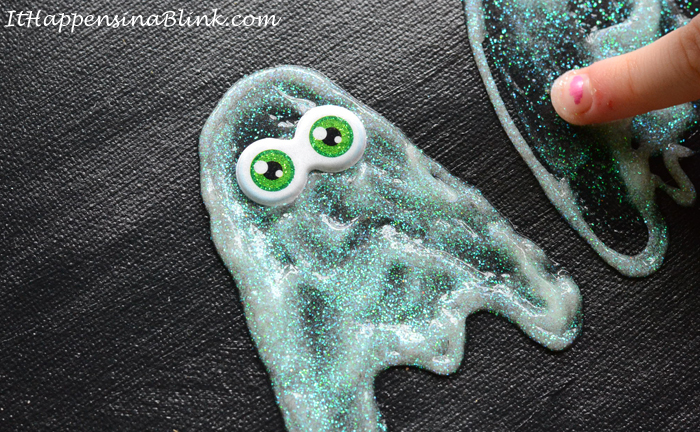 🙂 Fill in the ghosts with the glitter glue. We just used our fingers to rub it in. 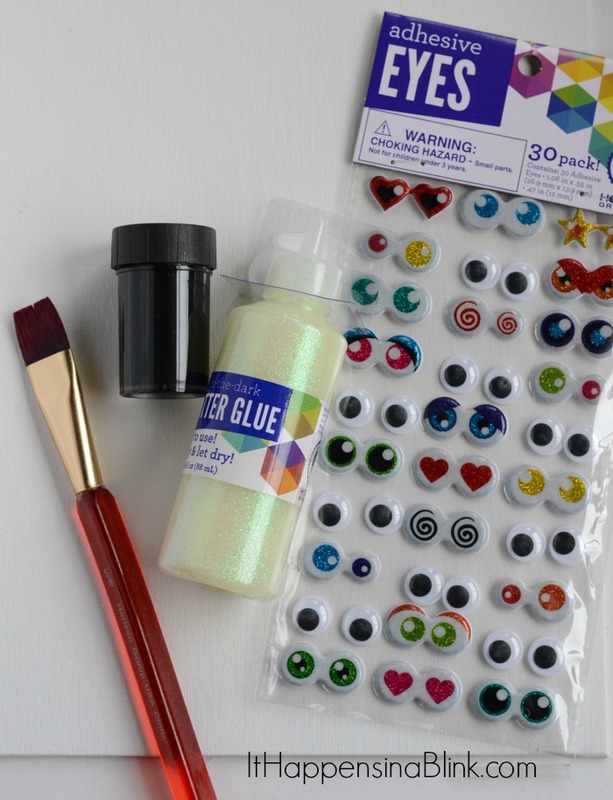 Apply the Wiggly Eyes before the glue dries. 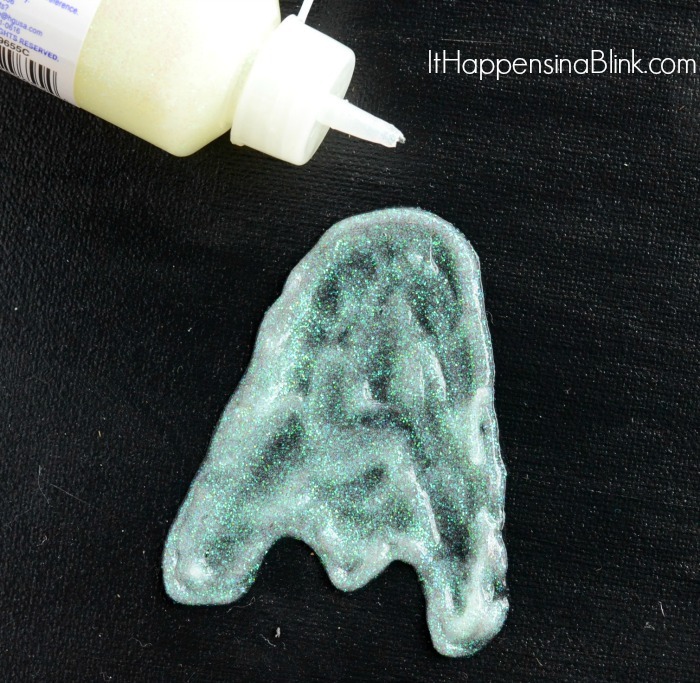 Let the glitter glue dry completely, typically overnight. I tried to get a glow-in-the-dark shot, but this was the best that I could get! But the ghosts really do glow! 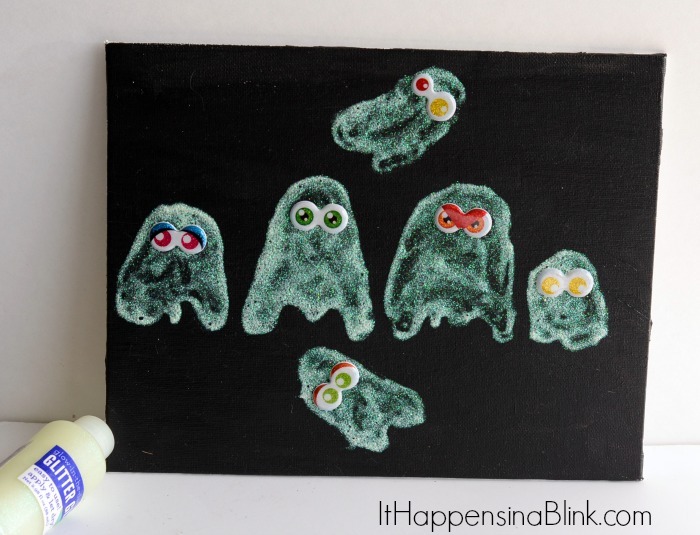 What would YOUR family ghost family portrait look like? OMG this is such a fun project! I love how you painted the canvas black so you could see the ghosts during the day too! Thanks for stopping by, Marilyn!